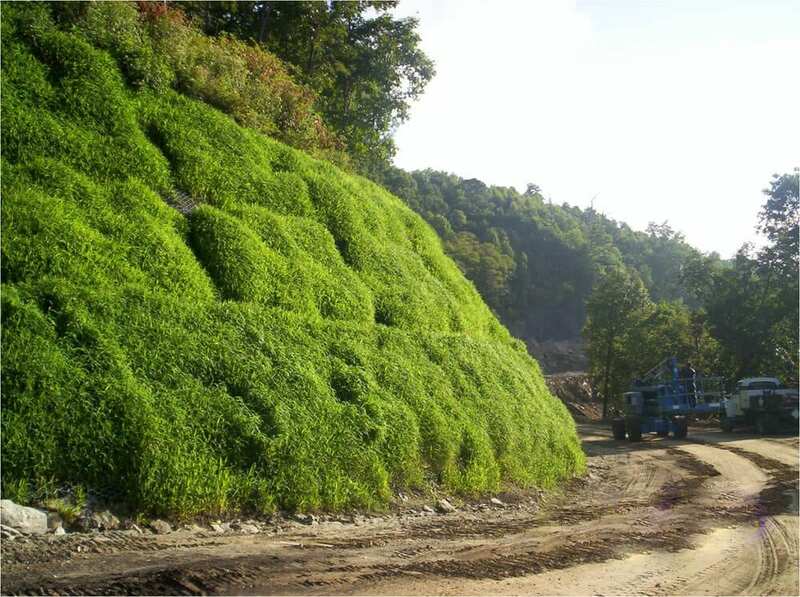 The BioWall® is a patented, environmentally friendly and aesthetically unobtrusive facing option for bare rock or mineral soil slopes that are too steep to revegetate on their own. 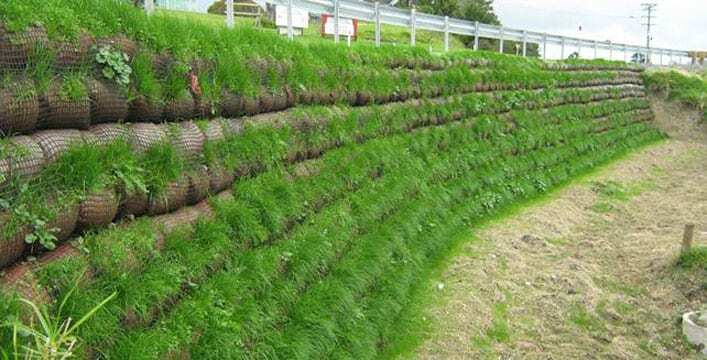 The BioWall® can be planted with native vegetation-in the form of live stakes, sprigs, bare root, plugs or seeds-and installed with an irrigation system. 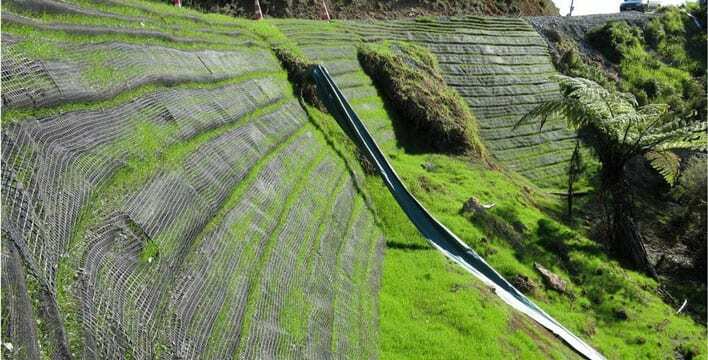 BioWall® components may also be used as the facing for GeoSynthetically Confined Soil (GCS®) Walls with face batters of up to 70 degrees, providing a “living” face to the retaining wall. These walls have been used in the Eastern United States, the Pacific Northwest, and extensively throughout New Zealand and Australia by GSI®‘s partner companies.